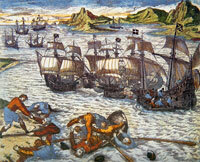 In June 1523, three Spanish ships made landfall off Cape St. Vincent, on the south-western tip of Portugal. Captain Quiñones who commanded the flotilla had every reason to be thankful. He and his men had just survived a lengthy transatlantic voyage, having left Vera Cruz in Mexico, skirted Cuba, Florida and the Bahamas, and then the long passage to the Azores. The low cape marked the start of the final leg of the voyage – a relatively easy run up the coast to the mouth of the Guadalquivir River, and Seville. The ships were caravels – small and poorly armed craft, of the type used by Christopher Columbus during his exploration of the New World. Unfortunately for the Spanish, they weren’t the only ships in the area. Waiting for them off the headland were two other warlike vessels, commanded by the French privateer Jean Fleury de Honfleur. France and Spain were at war, and he was lurking there in search of prey. 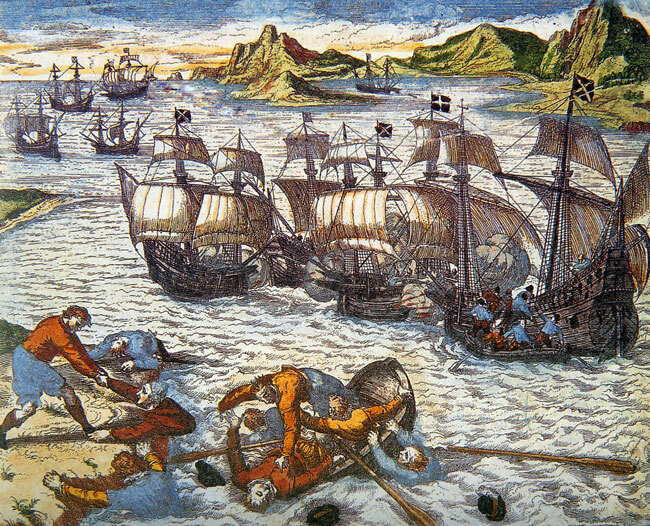 The Spaniards sighted the French ships as they approached the coast. By then it was too late – Jean Fleury gave chase, and while one of the three Spanish ships managed to escape, the other two were overhauled and captured, after putting up token resistance. When the French privateers boarded their prizes and peered into the ships’ holds the sight must have taken their breath away. 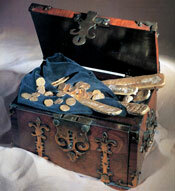 Both ships were crammed with treasure – several tons of it. Three large cases of gold ingots were stacked in one ship, while the other contained dozens of cloth bags containing gold dust – over 500 pounds of it. Other bags contained pearls – 680 pounds of them, while yet more small sacks were filled with emeralds, and topaz in a range of colours. Some of the pearls were described as being the size of a hazelnut. What had begun as just another privateering attack became possibly the greatest and richest haul of the century. The French authorities were perplexed. They knew the ships had come from the Spanish colonies on the far side of the Atlantic, but until then they had no idea just how much lucrative this Spanish venture had become. In amongst the treasure were other strange objects – beautifully engraved gold rings, strange-looking golden helmets topped with feathers, and gloriously eye-catching feather cloaks. Other strange exotic gold carvings were found too, many of them studded with jewels. Just what was going on in the New World, and what sort of people had produced all this golden finery? 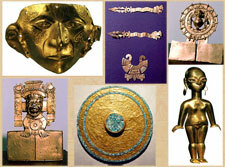 The answer, of course, was that this was Aztec gold – the plunder of Cortés’ conquest of Mexico. Almost by accident the French – and by default Europe’s other non-Spanish maritime powers – now knew that Mexico was a land of incredible riches. Naturally enough they wanted a share of this Aztec plunder for themselves. 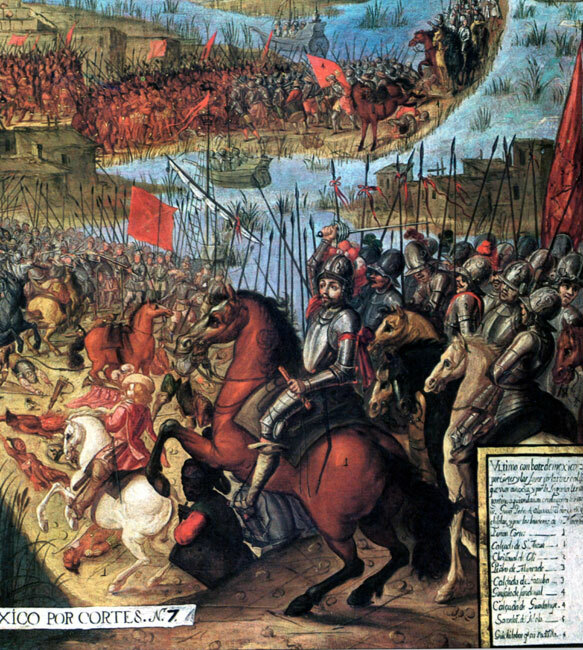 The story of Hernán de Cortés’ invasion of the Aztec realm is well known, and so we won’t repeat it here. Suffice to say that in August 1521, after his capture of the Aztec capital of Tenochtitlán, Cortés’ and his men acquired a wealth of plunder. After recovering from their blood-soaked victory, the conquistadors spread out to occupy the rest of the Aztec dominion. Meanwhile, clerks attached to Cortés’ staff catalogued the booty, and after dividing the spoils a sizeable portion was set aside to be shipped back to Europe, where it would be presented to the Emperor Charles V, ruler of both Spain and the Holy Roman Empire. Accompanying this substantial shipment of treasure was Cortés’ official dispatches, reporting how he had conquered Mexico, and describing the wealth to be found in the Emperor’s newly conquered lands. Thanks to Fleury, this report now fell into the hands of Spain’s enemies. The discovery caused quite a stir in Europe, especially in France, where the privateer became a national celebrity after presenting King Francis I with his share of the Aztec treasure. A privateer was essentially a state-sponsored pirate. In time of war a country issued privateering licences or “letters of marque to sea captains, legally permitting them to attack the ships of their country’s enemy. Unlike piracy this was an entirely legal arrangement – in fact the government got a share of the plunder – usually 20%. 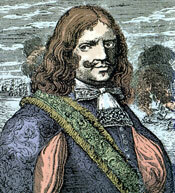 Although the privateering licence only lasted as long as the war did, captains like Jean Fleury were able to make good money preying on Spanish ships. 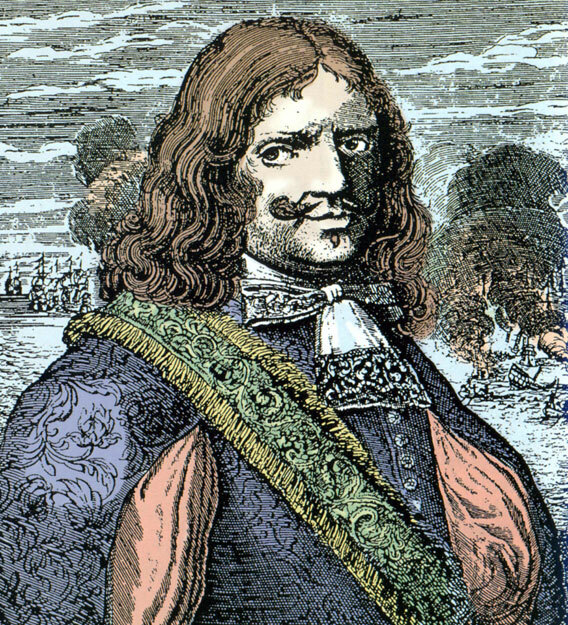 Even more successful was Jean Ango, the Dieppe shipowner whom Fleury served as a captain. In time of war, rich shipping magnates like Ango sent whole flotillas of privateers to sea, and while his captains and crews earned their share of any plunder, the owner stood to gain the most. The Aztec gold, jewellery and exotic carvings sent to the king came from by Ango, and represented the royal share of the privateering venture, after Ango, Fleury and his men had all taken their share. However, the haul was still a fabulously rich one, made all the more exciting thanks to its exotic origins. Its arrival caused a sensation in Paris. 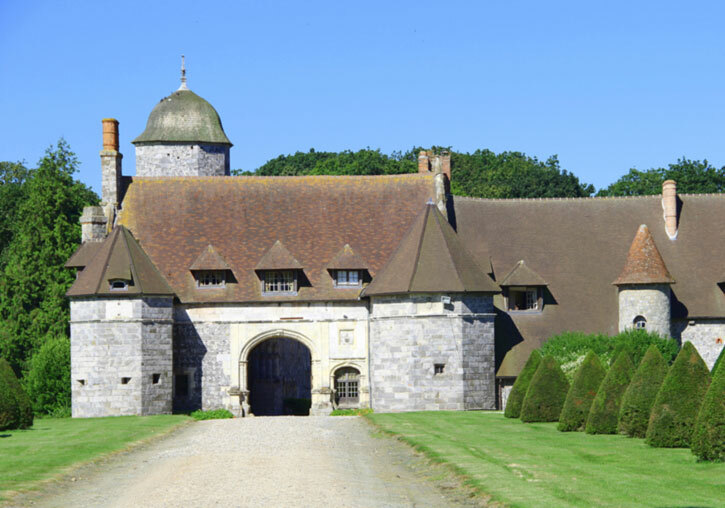 Jean Ango used some of his plunder to build a large manor house at Varengeville-sur-Mer, four miles along the coast from Dieppe. Known as the Manoir d’Ango, this impressive house still stands today – a building paid for by Aztec gold. There, in 1528, Jean Ango held a great masked ball, the theme of which was the riches of the New World. Actors dressed up in Aztec finery, and thousands of onlookers watched them parade through the crowds during Ango’s homage to the fallen glories of the Aztec Empire. Unfortunately his most successful captain Jean Fleury wasn’t there to see all this. 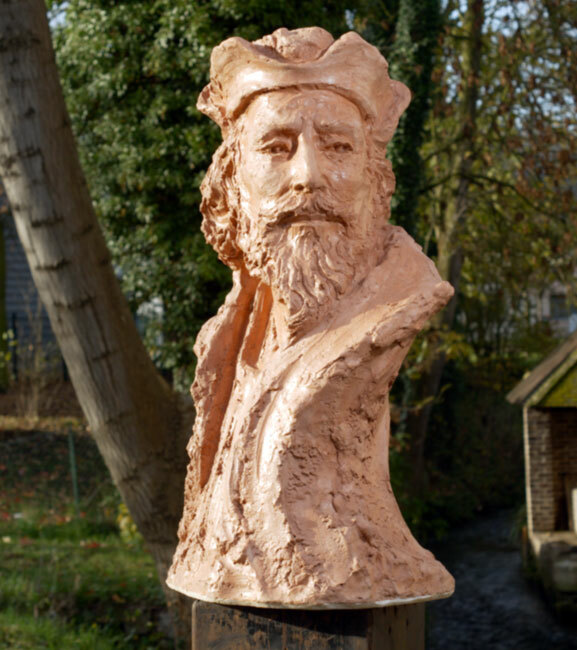 The previous year he was captured by the Spanish, and in late 1527, after being tried in Toledo, he was executed as a pirate. While his capture of the three Spanish caravels had been a legitimate act of war, the Spanish refused to recognise this. Clearly the Spanish didn’t take too kindly to people stealing their treasure. This draconian Spanish response was understandable. 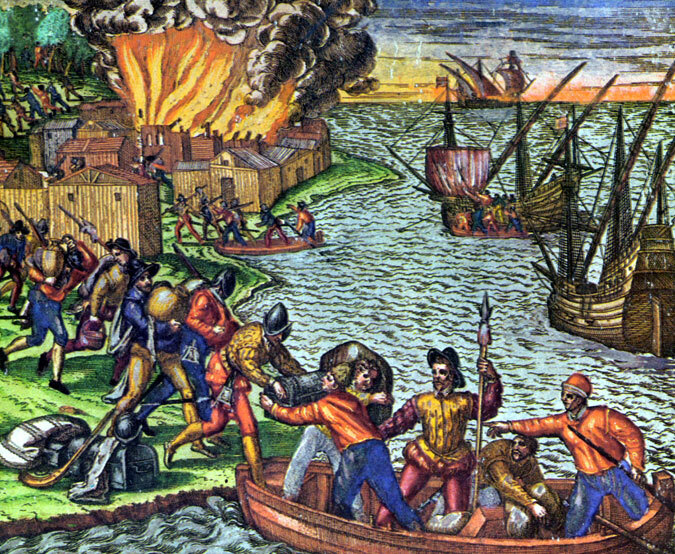 They knew that their fledgling ports and settlements in the New Worlds were poorly protected, and therefore vulnerable to attack by other Europeans – people the Spanish called “interlopers”. Thanks to Jean Fleury they now had to protect their New World possessions against the inevitable wave of treasure-hunting privateers and pirates. Actually what helped the Spanish was the sheer enormity of the Atlantic Ocean. This ruled out the possibility of opportunistic raids against these Spanish possessions. However, this did mean that the “interlopers” who did venture as far as the Caribbean were both well-organised and eager for plunder. 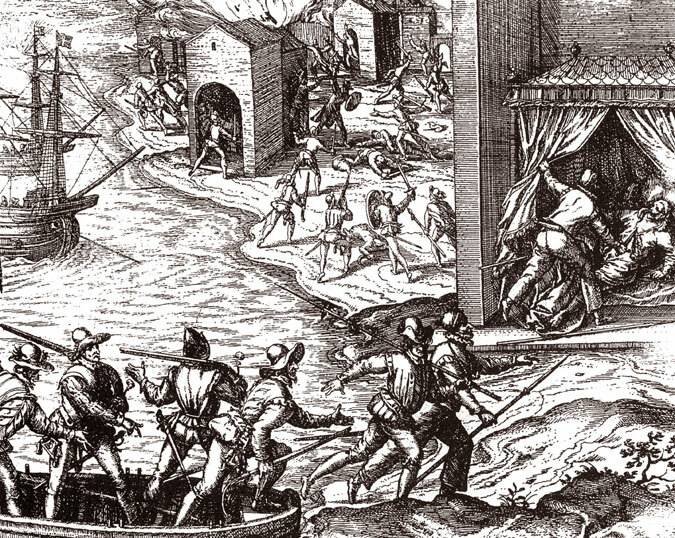 In 1525 the explorer Sebastian Cabot encountered a French “interloper” off the coast of Brazil, and the following year a Spanish ship was attacked in the same waters by a three ship flotilla of French privateers. This was only the start – similar “interlopers” were later spotted off Puerto Rico and Santo Domingo, in the very heart of “The Spanish Main”. 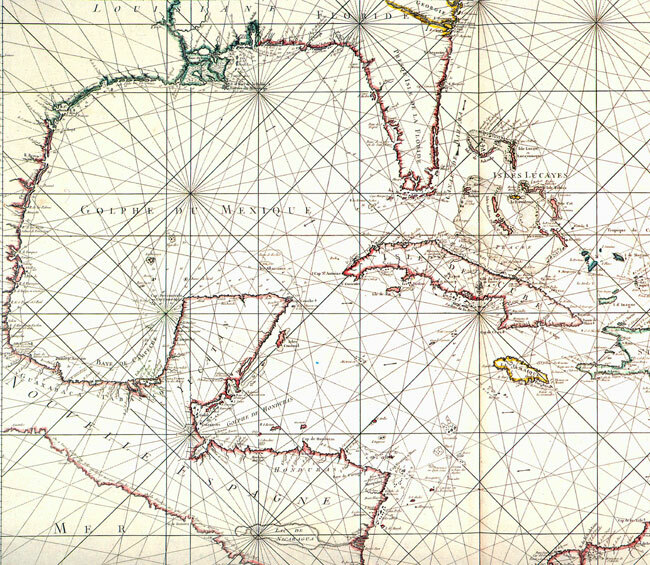 Although the term had originally applied to the Caribbean coastline of South America, by the mid 16th century the term was more widely applied to all Spanish possessions in the Caribbean basin. 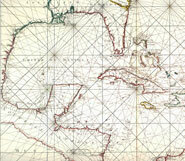 Thanks to the Treaty of Tordesillas (1494) the Spanish regarded the Caribbean as their own private sea. According to the treaty, everything west of the north-south line drawn through the Atlantic by Pope Alexander VI lay within the Spanish sphere of influence – and therefore belonged to Spain. This explains their use of the term “interloper” to cover the privateers and pirates who now prowled these waters. For the Spanish, there would be “no peace beyond the line”. By 1530 the Spanish governors in the New World were complaining to their king that many of their own impoverished colonists were willing to trade with these “interlopers”. As Spain and France had signed a peace treaty in 1529, these French ships were no longer considered legitimate privateers. They were pirates – or “corsairs” if you prefer the French term, and therefore they operated outside the law. 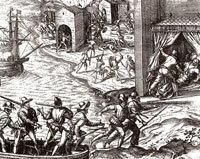 Spanish warships took to stopping foreign ships encountered on the high seas. If they found any goods on board they thought came from the New World, then the crew were branded as pirates, even though they had done nothing more aggressive than trade with Spanish settlers. 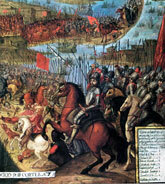 Tensions reached breaking point in 1536, when war erupted again. In fact conflict between France and Spain would continue intermittently for much of the 16th century, thereby blurring the line between legal privateering and illegal piracy. To the Spanish of course, anyone entering the Caribbean was an enemy, regardless of what a peace treaty might say. By then, Dutch and English “interlopers” had also made their way to the Spanish Main, eager for their share of Spanish treasure. This coincided with the establishment of a steady flow of specie from New World ports back to Seville. 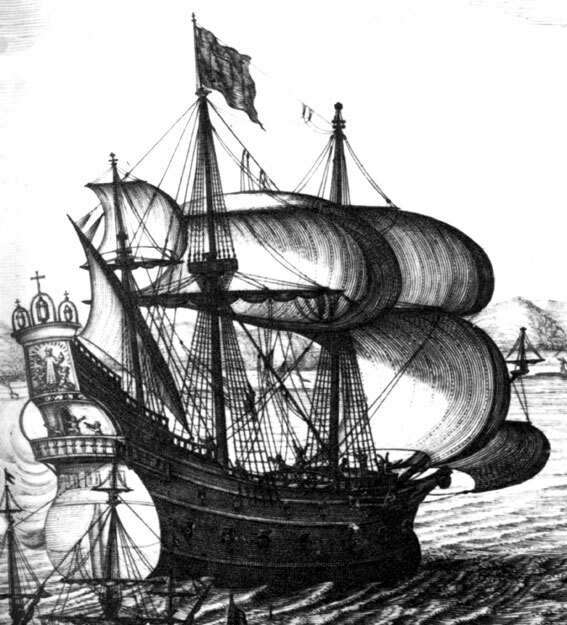 It wasn’t until the 1560’s that the Spanish began shipping this in well-protected Treasure Fleets – for the moment these treasure-laden ships had to make fight off any “interlopers” as best they could. Worse still, “interlopers” were now operating in squadrons, powerful enough to land enough men to sack poorly-protected Spanish settlements. So began a contest for the wealth of the Spanish Main – a struggle that would last for the best part of two centuries. It would involve great sea captains such as Sir Francis Drake and Sir Henry Morgan, and it would see the sack of great treasure ports such as Panama, Cartagena. Great raiding expeditions would leave Portsmouth and Plymouth, bound for the Spanish Main. Fortunes would be won and lost, and empires would rise and fall. This contest would ultimately end with the erosion of Spanish wealth and power on both sides of the Atlantic, leaving the Spanish Empire a pale shadow of its former self. Many of the beautiful pre-Hispanic golden treasures in European collections like the British Museum found their way there as plunder, looted from the Spanish during this colourful period. 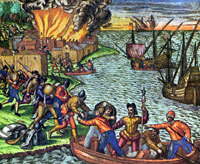 This whole process – this struggle for the Spanish Main – all began that morning in the summer of 1523, when three ships carrying Aztec gold made landfall off the coast of Portugal. Pictures supplied by and courtesy of Angus Konstam, with the exception of Pic 3, for which we have added four images taken from the Mexicolore website/archives. I enjoyed your article. It was interesting and informative. One sentence sort of stuck out to me, however, and I didn’t know what to make of it. The following sentence from the article suggests that the Spanish were somehow the victims of European “looting”. And the only “colour” mentioned in the entire story (other than gold) was red. As in when the conquistadors recovered from their “blood-soaked victory”. It was more of a slaughter than a victory. And, in the end, the only true “victims” of this era were the Aztecs. One could say, however, that the Aztecs had their revenge on Spain via the same gold they’d been killed for by the conquistadors. The economic effect of all of that gold on Spain has devastated the country as a European competitor. They stopped manufacturing anything and imported all of their goods and basically became lazy and shiftless.